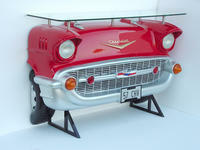 Beautiful 57 Chevrolet bar shelf ideal for gameroom decor or restaurant decor. This is an amazing, handcrafted '57 Chevy full size replica bar. Now you can bring back the fun of the 50's and 60's with one of our hand crafted car replica bars. Just imagine having a copy of that favorite Chevrolet sitting in your living room. Chevy Wall Shelf features the front grill, headlights and Chevrolet emblem with a glass shelf to display your best collectibles. Beautiful paint job! This handcrafted shelf bar is made of polyresin and reinforced with fiberglass and steel. It's even weather-resistant. 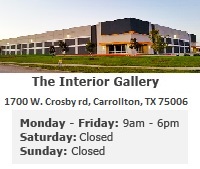 Great for the gameroom, restaurant, cafe, office, or any special event.